Home / SkinCare / Black Leopard Skincare For Men. 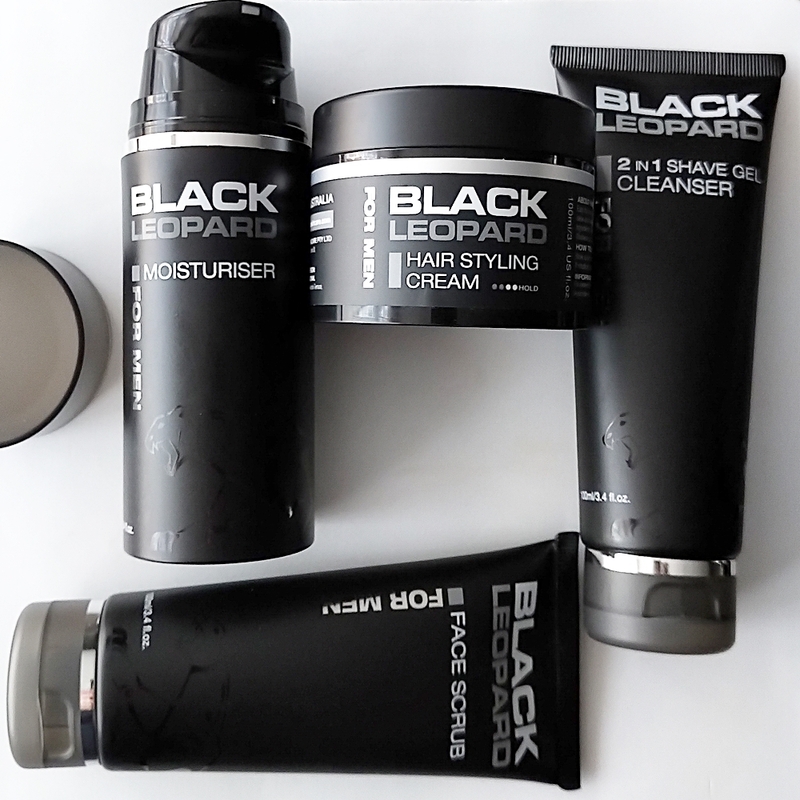 Provide the skin with naturally derived and scientifically proven ingredients, when applying the black leopard skincare for men. The exclusive range offers affordable products that contain active ingredients that are suitable for all male skin types and the skins different needs. Presented in a stylish black matte packaging and with informative directions on how-to-use, the travel-friendly products from the range can be used wherever you are or go. Disclaimer: The products were sent to me to sample, this does not influence or change my honest opinion written in my blog posts. All links in black are not affiliated and only used for you to find the product quicker. 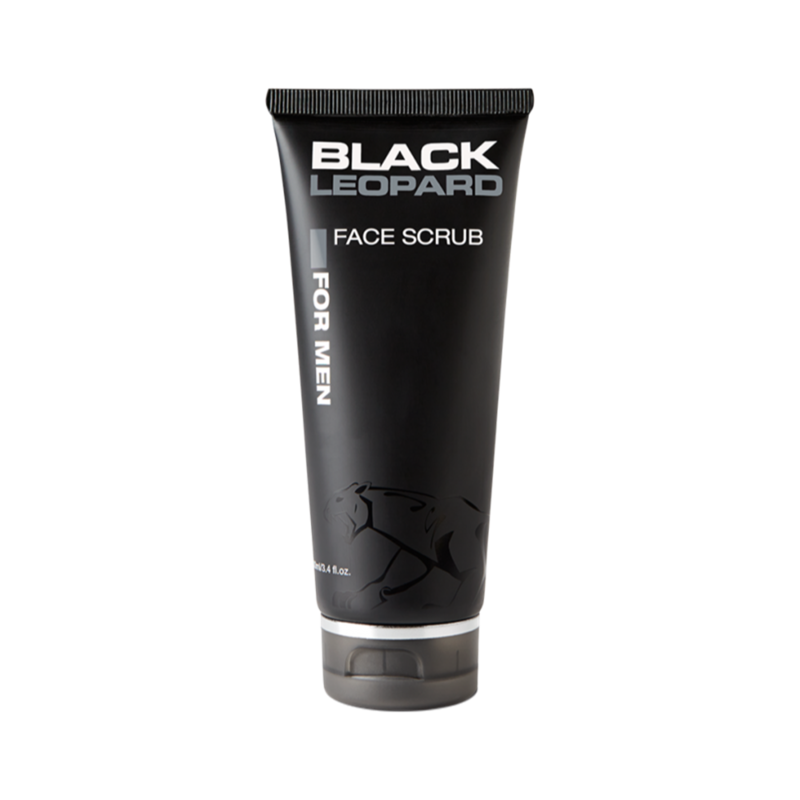 The black leopard skincare face scrub uses a combination of glycolic acid and black rice to gently remove dead skin cells for an easy exfoliation treatment. Glycolic acid effectively removes the top layer of the skin to reveal a brighter and fresher complexion, while black rice manually sweeps the skin by how much pressure you use. Enriched with antioxidant boosting Centella Asiatica that provides strengthening benefits for the skin, the highly moisturising Aloe Vera and Vitamin E hydrate and replenish the complexion for balanced skin. Applying to damp skin 1-2 times per week, you can also apply to the skin before shaving to lift the hairs for a closer and comfortable shave. The creamy and gritty texture applies to the skin well, before rinsing off to leave the skin feeling smooth and hydrated. The black leopard skincare 2in1 shave gel cleanser can be applied to the skin before shaving, or for those days when you are not and want a natural cleansing experience. Gliding over the skin easily and preparing the skin for shaving, aloe vera provides a natural smooth barrier to stop unwanted shaving cuts and the dreaded shaving burn. Cleansing and toning properties are fulfilled by the witch hazel present, while lavender and tea tree provide anti-inflammatory benefits to calm and soothe the complexion. Applying to damp skin by dispensing into your hands and then massaging over the face, the cleanser thoroughly cleanses without leaving the skin feeling dry or taut but comfortably hydrated and feeling smooth to the touch. The black leopard skincare moisturiser is presented in a sealed pump bottle and contains the active ingredients Uplevity, Xpertmoist, and Ion-moist to help nourish and protect the skin. The skin peptide Uplevity fights lack of firmness in the skin by enhancing the elements that maintain collagen levels and the elastin fibres, while Xpertmoist is a molecular film containing active ingredients to moisturise and regenerate the skin, bringing that pleasant feeling when you know u have just used a good product. Ion-moist provides natural hydration particularly beneficial for male skin after shaving because it provides immediate and long-lasting hydration results for quick skin recovery. Applying morning and night to clean skin, the moisturiser glides over the skin easily before absorbing quickly. The complexion feels smooth and looks healthy, without feeling greasy or looking shiny. 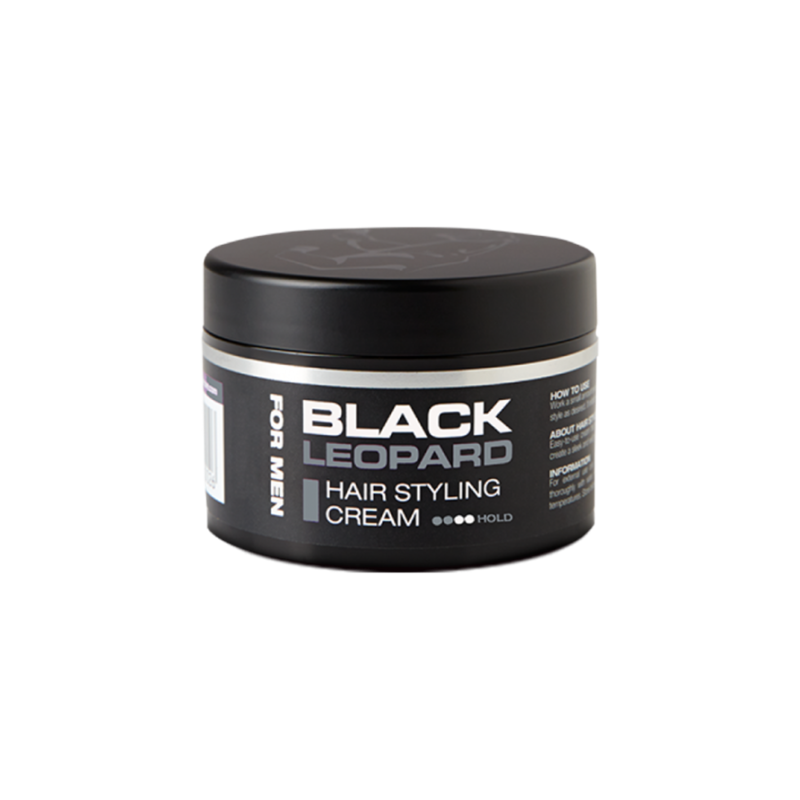 The black leopard skincare hair styling cream is suitable for all hair types and is your go-to-product for quick and easy styling. The purple-coloured hair gel (don't worry it doesn't leave your hair purple) creates a moderate hold but doesn't leave your hair looking stiff or feeling crunchy. The essential oil blend with other beneficial ingredients leaves the hair feeling moisturised and conditioned, without weighing the hair down and can be washed out easily. Take your grooming regime to the next level as you could use this gel to hold unruly eye brows in place or to style a moustache and beard. Black leopard skincare present an affordable range with exclusive formulations that are not only easy to use, but they also provide products that work. Catering for all skin types and not excluding any age range, the Australian brand is a welcomed addition to any gentlemen's grooming routine. Find out more about this range made by men, and discover the products available that are innovative skincare for men, X Neil.